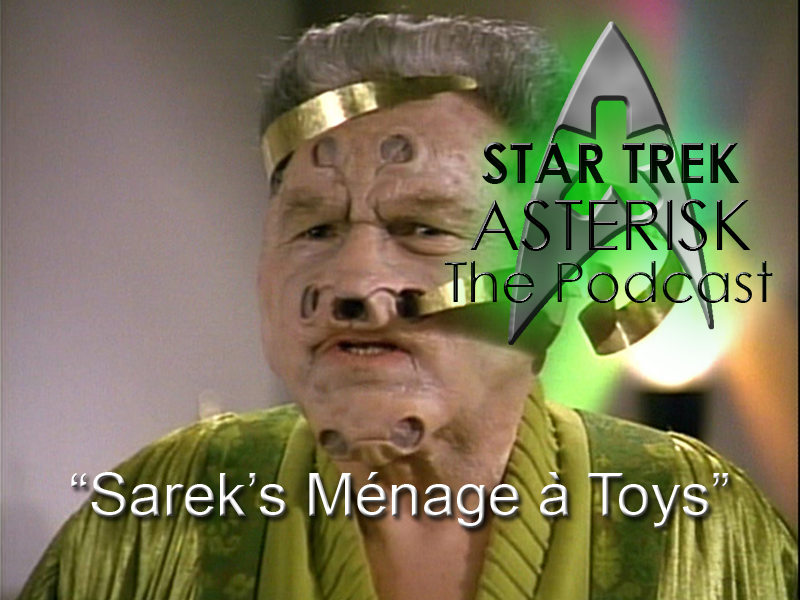 Star Trek: Asterisk "Sarek's Ménage à Toys"
And now some review action where I break down "The Most Toys," "Sarek," and "Ménage à Troi." Have you ever found yourself wanting something for yourself so badly after having beaten a Ferengi at chess to get it that you faked a Starfleet officer's death to secure it, but then beat it in a fit of senile rage after passing 200 years old? Then you'll totally relate to these three episodes! We're nearing the end of season 3. Come back on Friday and we'll watch the last two episodes and follow it up with the premiere of season 4!